Almost all popular digital Collectible Card Games nowadays use a version of the same battle system, created 25 years ago by Magic: The Gathering. It’s 2018 now – we are sending people to Mars, we should be able to come up with another interesting battle system. 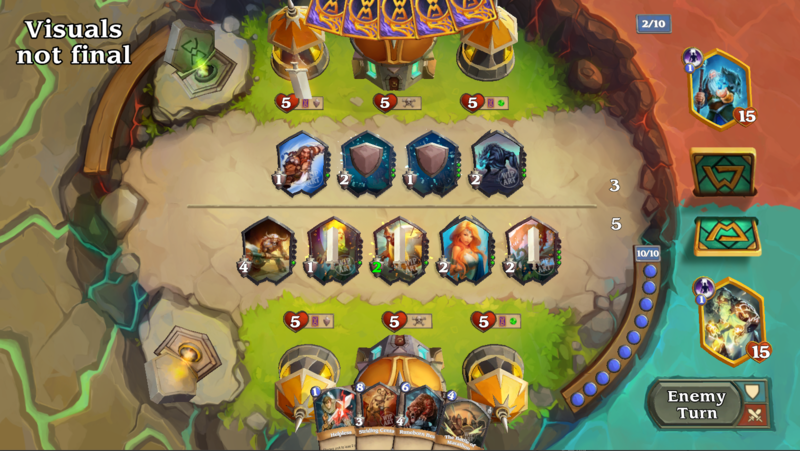 When the Collectible Card Games entered the digital world, the genre has lost one of its main beauty – control over battles in favor of more dynamic gameplay with less complexity. Imagine how many times you have had your favorite minion, the one that was critical to your strategy on the board in Hearthstone. Then your opponent just kills it with his stronger minion and there is rarely anything you can do about it. You select your attackers. You can have as many units attacking as you wish. You choose which temple you want to attack. Each temple gives a different reward if you win the attack. Your opponent has a chance to choose defenders and block your attack. The total attack power is compared to the total defense power, the winner for the battle is determined and spoils/rewards are received. The above points repeat until you win the game, your opponent rage quits or your internet connection drops. One very important thing to understand about the battles in World of Myths is that there are no attacks between the individual units. They attack as a group and defend as a group. You don’t choose which unit to attack with your unit – you choose which temple to attack. The units in World of Myths have no HP as you will see from the screenshot below. Tiryon (the player below) has selected 3 of their units to attack with – “Thirsty Empossai”, “Vanguard Soldier” and “Swamp Hydra” with a total attack power of 5. Tiryon chosen to attack the Power temple. If Tiryon wins the attack, he will draw a card and his left-most unit gain 1 additional power as a reward. His opponent, Cirsey, has decided to block this attack with “Olina Mancrusher” and “Thundering Vikings” with a total defense power of 3. Since Tiryon has attacked with a total of 5 power and Cirsey’s defense was a total of 3, Tiryon will win the attack, deal 2 damage to the temple (the difference between attack and defense power) and get the rewards. Most digital Collectible Card Games encourage you to play with different classes/factions every day. Today you get 50 gold for playing with a necromancer. Tomorrow you get 40 gold for playing with a wizard. But f*ck it – you love playing with a warrior, you enjoy it, fits your playstyle and you don’t want to play with anything else. Why should you be pushed to play something you don’t really enjoy. Well, this is a problem that we are targeting with our loyalty system. In World of Myths, you will be rewarded to play exactly what you want and enjoy, and you can do it every day. 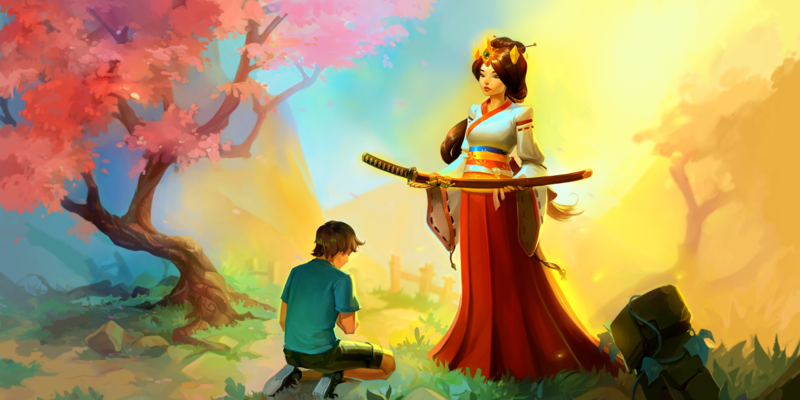 By playing with the Mythology that fits your playstyle and preferences every day, you will gain loyalty reputation points with that Mythology which will unlock some amazing content and rewards for you. The loyalty system we just talked about helps us with one of the other features of the game – the Faction Wars. World of Myths will have a World Map with each Mythology controlling its own regions. At least this will be the starting point. From there it is up to you. There will be organized contests for different areas of the map on a regular basis. The Mythology communities will decide by voting which area to attack or defend. 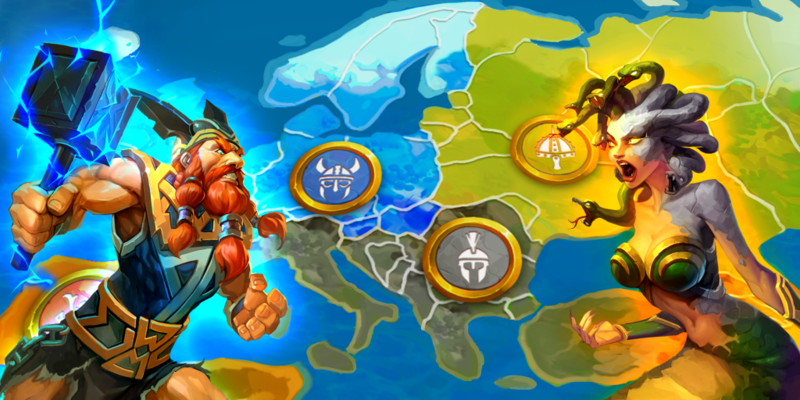 24 hours of 1vs1 battles will determine the winner and whoever gets more game victories will claim that territory for his Faction which will result in massive rewards and unlocked content. I bet you have played one of those games where your actions and activities can change your storyline and you can end up in a totally different place than your friends. Well now imagine that your decisions can change the whole storyline of the game and affect everyone else playing the game. You receive rewards and get in the history of the game if you do so. How cool would that be? Well, you will be able to find out if you join World of Myths. The Living Story Mode is the singleplayer mode of World of Myths and will have it’s monthly chapter releases. Each chapter will contain 3 unique challenges against AI. And each fight will have its HINTED, special moment where you can change the story. I know at first it sounds too abstract. Let me give an example. This month one of the challenges is to defeat Medusa who is hiding the Goblet of Immortality. Jon, playing with the Norse Mythology, solves the hints of how he should win the duel and includes the card “Reflective Shield” in his deck before fighting Medusa. Since Jon is the first to solve the puzzle, the Norse Mythology gets possession of the Goblet of Immortality which changes the storyline of the game and the chapter for the next month. Jon gets his rewards and can brag around how smart he is. The Living Story Mode is a huge development challenge. This is something that we haven’t seen in any other digital game and we are extremely excited about the opportunity in front of us. 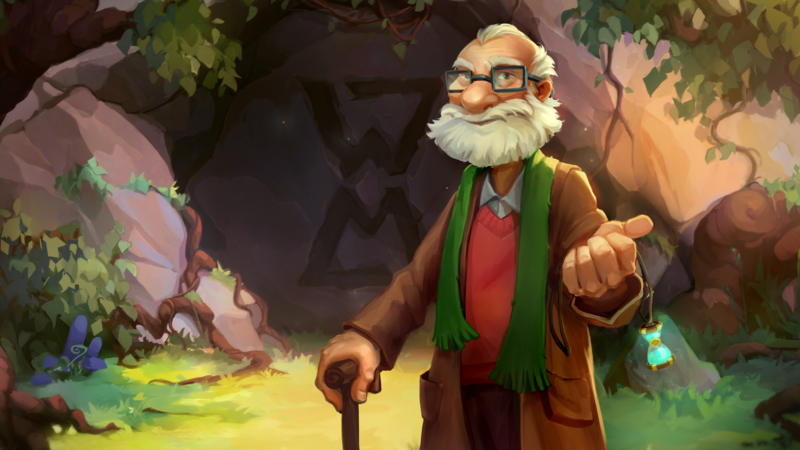 Unfortunately, the Living Story Mode will not be available during the early access of the game. And now the most important question – “When can I play this?” We are doing our best to bring the game to you as soon as possible. I guess this is the trivial answer that any game developer is giving when asked the question. However, we are confident that we will send the first wave of early access invitation no later than the first part of Q4 2018. Make sure to subscribe and be among the first who will have the chance to forge the future gameplay of World of Myths by giving us your feedback. We will give more information on the early access release in the following weeks. After years of planning and development, World of Myths is getting closer to its release. We are doing our best to deliver the best experience for you. All the messages and comments are giving us the power and motivation to keep going. You guys made us truly believe we are creating something special and we want to thank anyone who has been part of our journey from the beginning and anyone who will join us now. Is the game will be available for PC only, or also for Android /Mac platforms? We will start with the PC release and have the mobile shortly after.